You were going to start today, but you hardly slept last night so you’re way too tired. You’ll start tomorrow even though you have that “thing” after work so you may or may not get a chance. Also, you really should get a new laptop before you begin, it’s too dark in your office, etc. Many of us want to write a novel but have multiple excuses to keep that dream from ever coming to fruition. 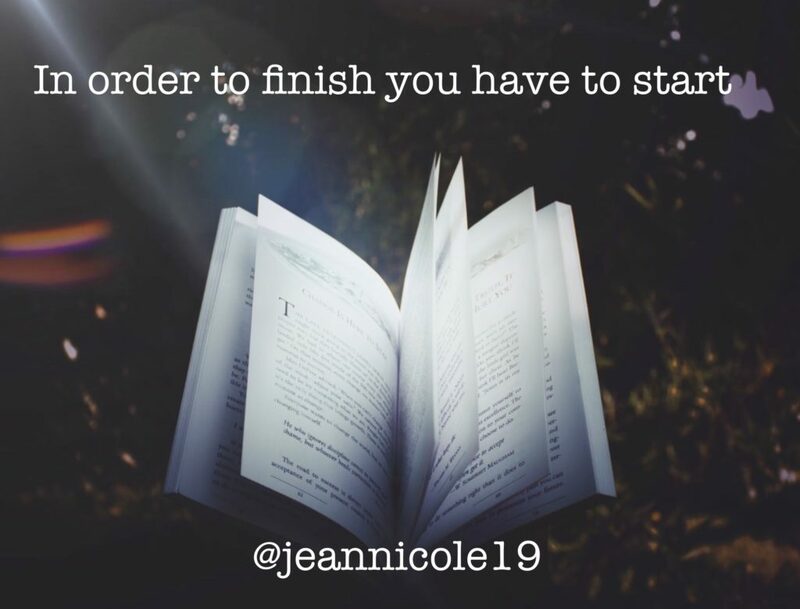 Writing a book is not quick or easy, I’m not here to tell you that it is, but the only way to finish one is to start one. Use the tips below to start your great work today! Writing a novel can be a long and strenuous process and the only way that you will ever get to the light at the end of the tunnel is to stay positive and persevere. You must tell yourself that it is time and you are writing a novel, not trying to write a novel or thinking about writing a novel. Today is the day you start your book, rain or shine. Make the decision and don’t look back. 30 minutes? That’s right! That’s it! 30 minutes is all you need to get started. Schedule it and let your family know that you will be OFF LIMITS for that short period of time. Use the time that you set aside above and start with 5 of those minutes to summarize your novel in one sentence. This one sentence hardly needs to be perfect, it just needs to be present. Once you have your summary sentence, write the first page of your novel, and just start writing. DO NOT overthink what you are writing. DO NOT worry about having the perfect opening line. DO NOT consider anything but putting one word in front of the other until you have a full page or until the remaining 25 minutes are over. You can do all of the editing you want later, but today is just about getting the words on paper. Once done, take a huge exhale and pat yourself on the back, you have officially begun your novel. Need a little extra help? Try a writing software like Simply Stylus (simplystylus.com) to help you stay on track. Simply Stylus is in beta (save your work outside of the software) and being offered for free for a limited time. Completing a novel is one of the most gratifying accomplishments in the world and you can do it. Any start for your novel is better than no start at all. Get started, keep going, finish!